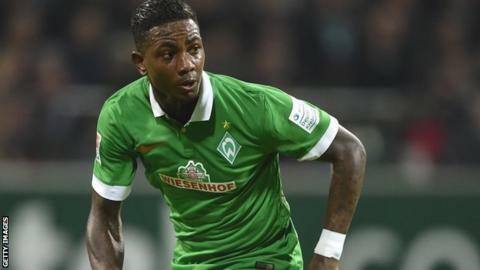 Southampton boss Ronald Koeman says it is unfair to compare new signing Eljero Elia with controversial Liverpool striker Mario Balotelli. Winger Elia, 27, has joined the Saints on loan from German side Werder Bremen until the end of the season. The Netherlands international has been involved in a number of off-field incidents, including getting into rows with fans on social media. "If I had doubts about his private life I wouldn't sign him," Koeman said. "It's the press and rumours, it's not true. We need really good players who want to develop themselves and be professional here." Reds striker Balotelli, 24, recently served a one-match ban for a post on social media and has been widely criticised for lacking maturity. Elia, who played for the Dutch in their 2010 World Cup final defeat by Spain, has featured only nine times for Bremen this season. Despite Elia's recent struggles, Koeman believes the former FC Twente and Juventus man can be a big success at St Mary's. "He is happy because he was looking for the next step of his career because he has not been playing in Germany," Koeman told BBC Radio Solent. "He is a good option for us and it can be very good for both parties. "I believe in his qualities. He is fast, can play from the left and the right, and can take people on, one against one. He is hungry and that is the most important thing." Elia will be available to make his Southampton debut when they face Manchester United in the Premier League on Sunday, 11 January. Meanwhile, Japan international defender Maya Yoshida has signed a new three-year deal with the club. Yoshida, 26, joined the Saints from Dutch club VVV Venlo in August 2012.